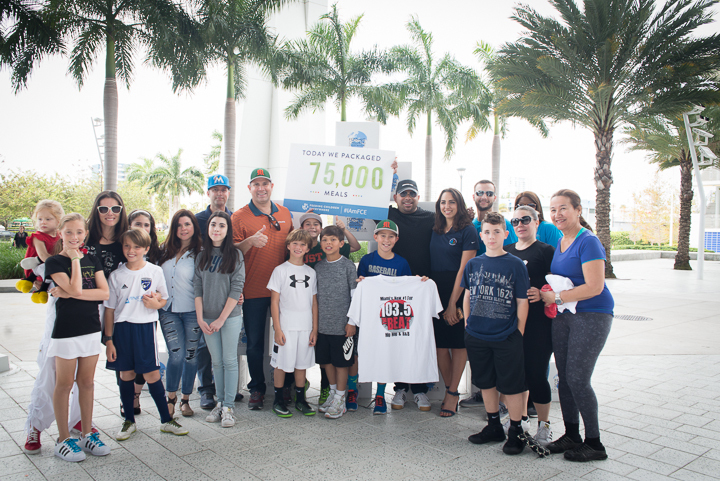 Last Saturday March 25, 2017 Voices For Children had the opportunity to participate as well as benefit from a unique volunteering experience in which Feeding The Children Everywhere in partnership with the Miami Marlins, the Hispanic Affairs Advisory Board, the Miami-Dade Community Advocacy Board, and Brown & Brown Insurance came together to package 75,000 meals for children and families of our community at Marlins Park. 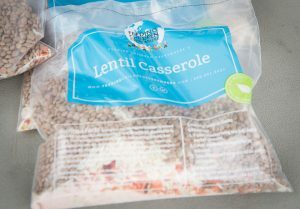 During the event, philanthropists, organizations, CEOs, children, and their family members were separated into teams for a high-speed, high-energy, hands-on race to package healthy lentil casserole meals for hungry children in Miami-Dade County and other various countries around the world. 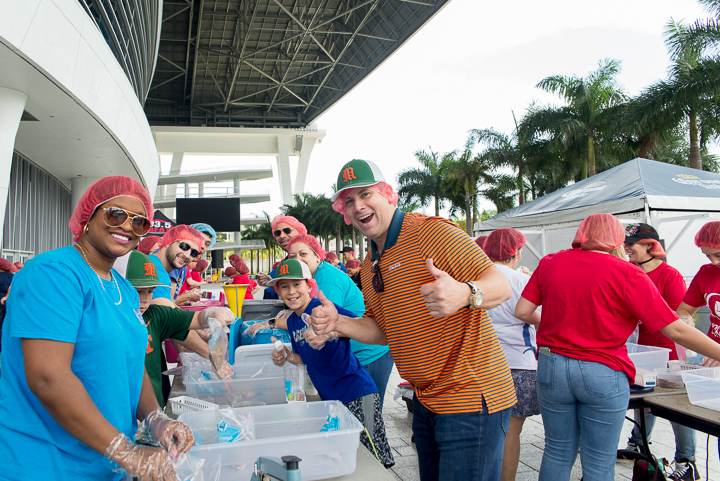 With teams cheering and music booming, each of the volunteers had the opportunity to be part of a meaningful experience that gives back to those in need throughout the community. Daniela Farinas, Children Everywhere Strategic Partnerships Manager, explains, “We facilitate these hunger projects every single day throughout the entire United States so individuals just like the ones you see here today come together and they get to hop on our assembly lines to package and celebrate every single meal that we send to the community” said Farinas. Vince Castro, Brown and Brown’s Senior Vice President and Voices For Children’s Board member was there with his two sons Vicente and Lorenzo. He decided to get involved because he is really interested in giving back to our community and the children in need. “Feeding children is something so simple and yet so complex. The meals stay here with our community and a portion of the meals go outside of the United States to Africa, South, and Central America. I brought my own children here my 9 and 10 years old so they can learn the importance of giving and it’s a pleasure to work along with my kids” said Castro. 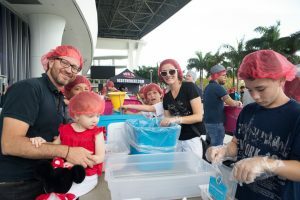 Three thousand of the meals that were successfully packed last Saturday were donated to Voices For Children Foundation to benefit foster care children in Miami-Dade County. Nelson Hincapie, our CEO volunteered at the event along with his wife and four children. 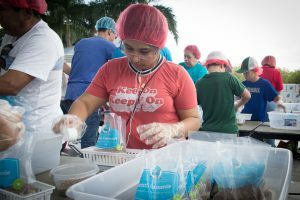 Hincapie stated “we work so that foster care in Miami-Dade County can meet their basic needs and thrive and that all begins with having a full stomach.